The embracing architecture of BubbleStar wraps the guests, while unclosing a large view towards the surrounding landscapes. 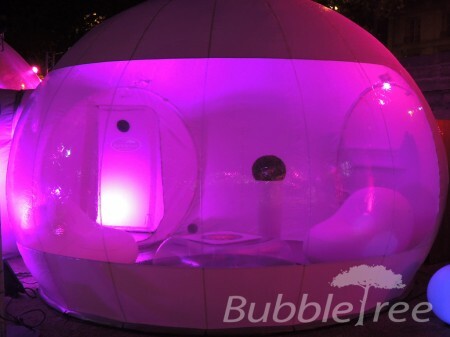 The guests are craftily protected from excessive sunshine inside the Bubble. Shadows of vegetation add to the fine design to create incredible ephemeral decor. The spacious bay window has been conceived to give frontal panorama, but also to reveal the stars and the Milky Way once the night unfolds and you get into the bed. As BubbleDrop, BubbleStar is available in the «thermal shield» version for hot countries.